Summary: Most of the Leading Economic Indicators (LEIs) are now signaling continued expansion, although 71.2% of the Leading Index consists of three indicators (M2, the Treasury Yield Spread, and Average Length of the Manufacturing Workweek) whose relevance is questionable. Several of the Coincident Indicators have also started increasing, however, confirming that the economic expansion is gaining traction. 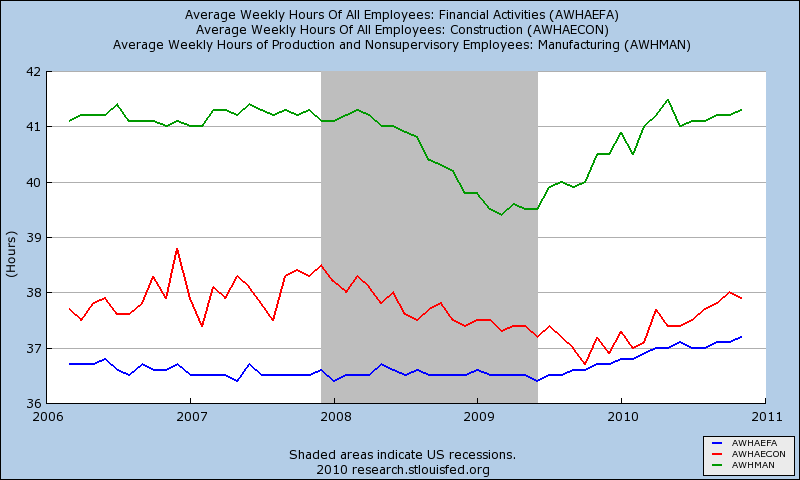 Among the Coincident Indicators, watch Real Wage Disbursements and Total Nonfarm Payrolls for further corroboration. Later in 2011, monitor Lagging Indicators such as Commerical and Industrial Loans, Consumer Credit/Personal Income, the Median Duration of Unemployment and Unit Labor Costs for additional signals regarding the robustness of the expansion. The M2 money supply is the most heavily weighted LEI component (weight = 0.358). The chart below shows that M2 (blue line) has recently risen at an above-trend rate, due mainly to the Federal Reserve’s pro-liquidity programs. The chart also shows Total Consumer Credit (red line), which has leveled off after an extended contraction, but has yet to begin rising. 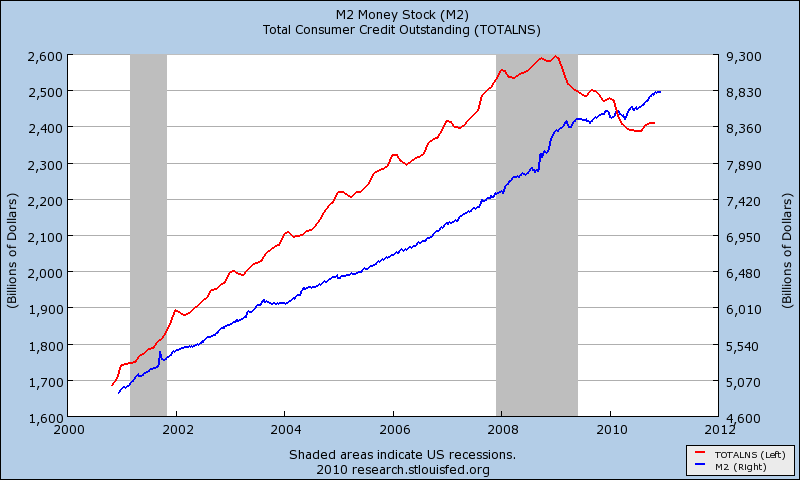 Thus far there is no indication that M2 growth is associated with an increase in borrowing among tapped-out consumers. It is unclear how relevant the M2 indicator is if we are in a period of deleveraging, and historic levels of liquidity do not translate into new borrowing. 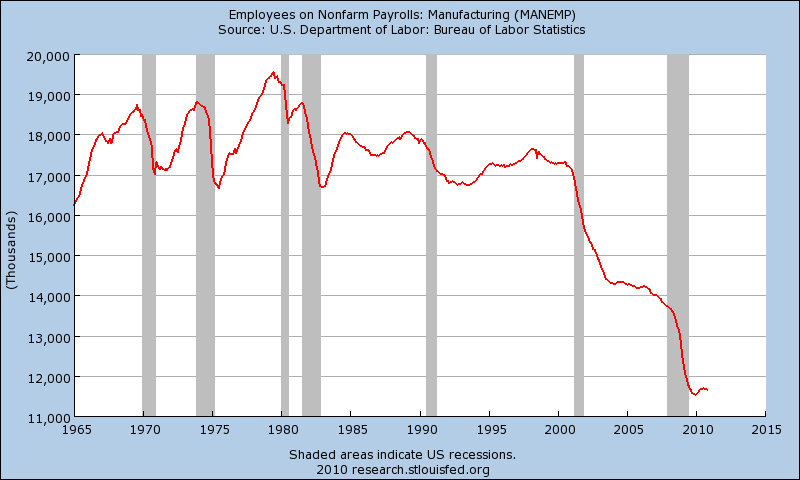 The relevance of the length of the manufacturing workweek is also questionable, however, due to the trend in manufacturing payrolls (shown below). The US has shed millions of manufacturing jobs, mostly over the past 10 years, so an increase in the manufacturing workweek is spread across a much smaller base of workers, and therefore does not signal the same type of surge in manufacturing orders that would have been the case in previous decades. The third most heavily weighted LEI component is the Treasury Yield spread (10-year yield minus Fed Funds, weighted 0.099). 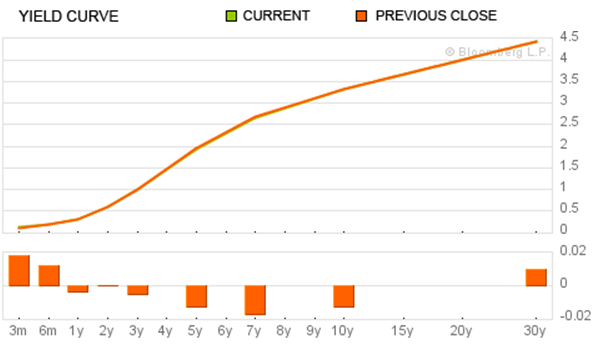 The traditional interpretation of a large interest rate spread (or upward sloping yield curve) is bullish, but it is difficult to determine what the market-determined spread would be without the Fed’s interest rate policy fixing the short end of the yield curve at zero. The first three Leading Indicators — M2, the Yield Spread and the Average Manufacturing Workweek — comprise 71.2% of the LEI Index, which means that interpretation of the LEIs is, for the most part, an interpretation of these three indicators. Initial Unemployment Claims are weighted only 0.031 in the LEI index, but the 4-week moving average of this indicator has recently plunged again, suggesting that the pace of layoffs is slowing further. 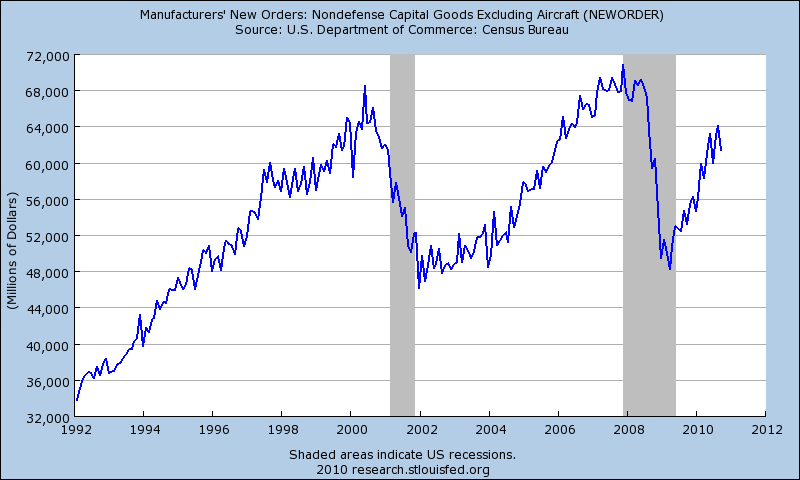 New Orders for Nondefense Capital Goods is another lightly-weighted Leading Indicator (0.018), but this metric has also rebounded strongly coming out of the recession. — and Personal Income Less Transfer Payments is also signaling recovery. 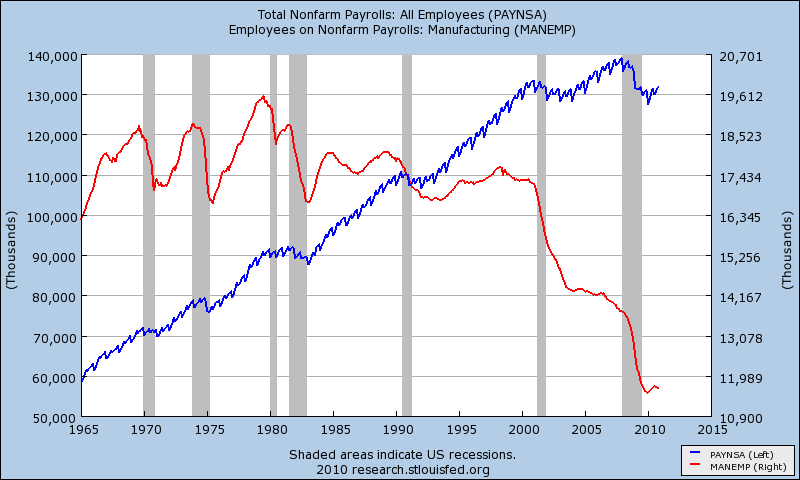 — and Total Nonfarm Payrolls (in blue) have also not turned up as sharply as they did following past recessions. If these two indicators begin increasing in the next several months, all 4 Coincident Indicators will be rising, which should send markets a clearly bullish signal regarding the robustness of the economic expansion. Not surprisingly, none of the Lagging Indicators have turned yet, further confirming that we are early in the recovery process. 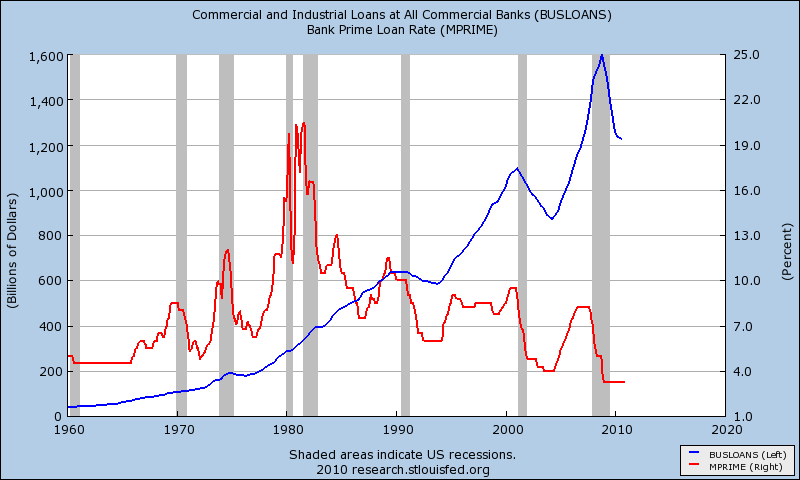 Lagging Indicators to watch in 2011 include Commercial and Industrial Loans (blue line) and the Bank Prime Rate. Commercial Loans have declined dramatically, although this indicator took quite a while to turn around after the last 2 recessions. 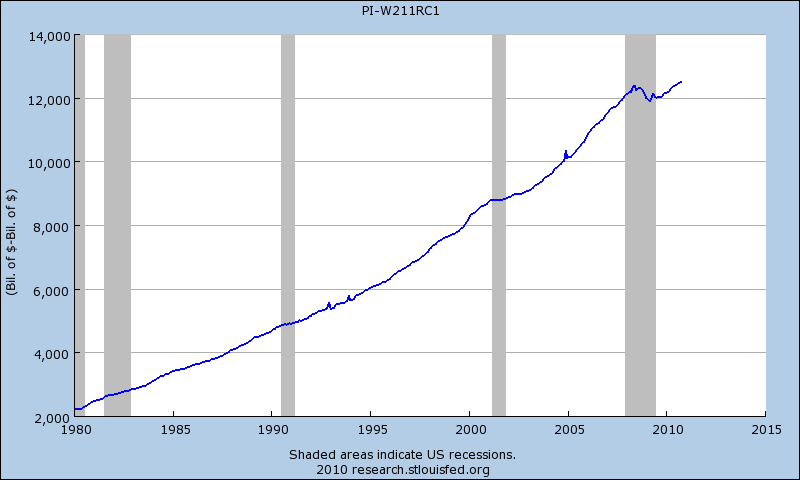 The ratio of Total Consumer Credit to Personal Income continues falling as consumers deleverage. (Notice how this indicator never declined in the last recession.) 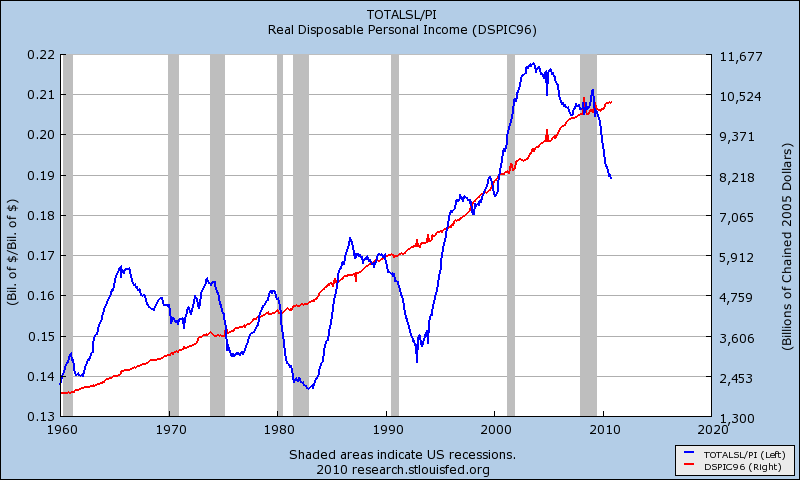 I have also included Real Disposable Income in the chart, which has been increasing, and thus also contributing to the decline in the ratio. 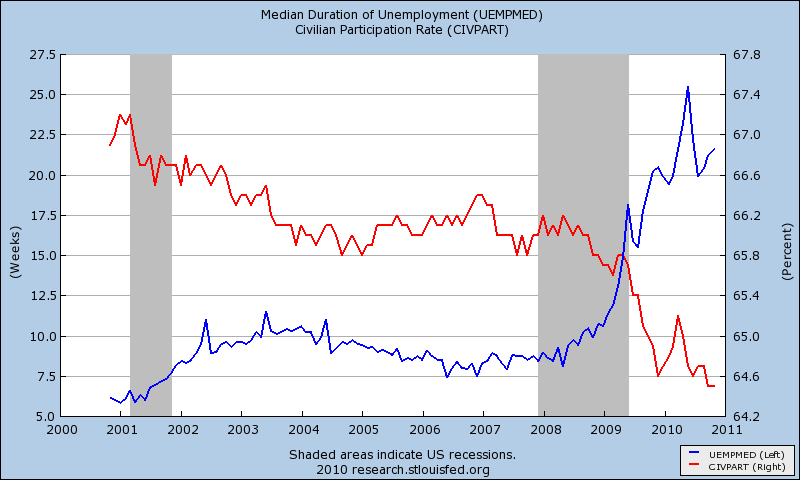 Unemployment Duration (in blue) has been moving in the wrong direction in recent months. The chart also shows the Labor Force Participation Rate (red line), which continues declining. I would be wary of any 2011 economic narrative about how robust a recovery we can have if these indicators fail to show significant improvement by the second half of 2011. If these indicators don’t eventually turn, certain aspects of El-Erian’s New Normal thesis may be revived, particularly the rate at which the US economy can grow over the long term. On the other hand, if these indicators begin showing tangible improvement, markets should receive the news well. In this case, expect moderate expansion of equity P/E ratios as expectations for faster future growth get incorporated into stock valuations. 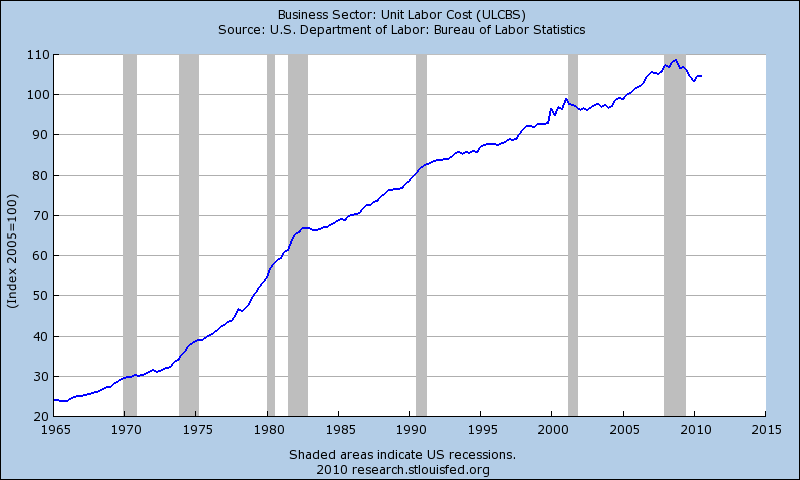 Unit Labor Costs have leveled off, but show no sign of increasing yet. 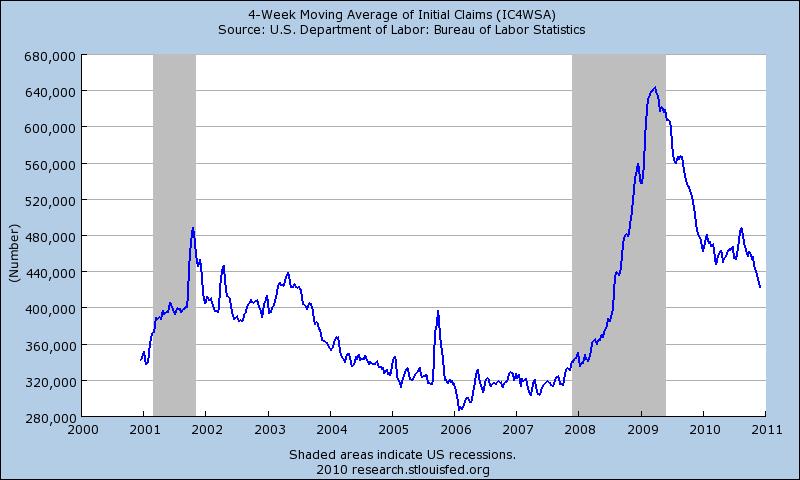 This indicator has increased reliably following the last six recessions, so this is one to watch closely in 2011. The elevated rate and duration of unemployment may make it difficult for this indicator to rise significantly. 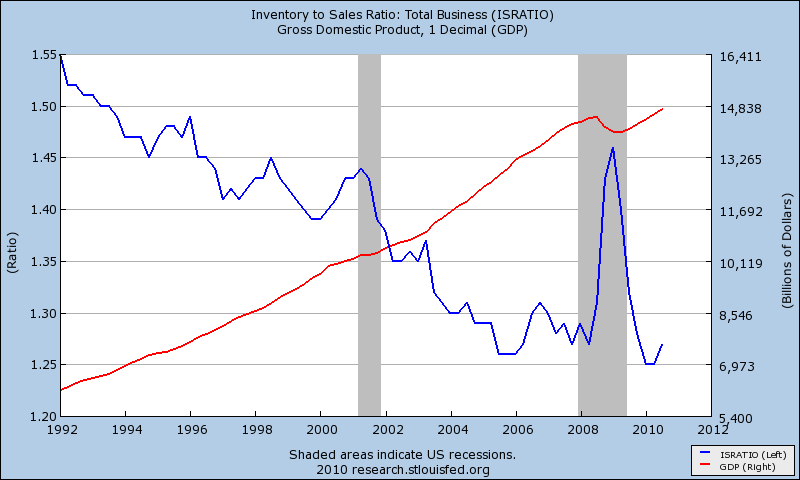 The Inventory-to-Sales Ratio (blue line) is one Lagging Indicator that may be a bit dated — after decades of Just-In-Time inventory management, this ratio may no longer be comparable with previous periods. 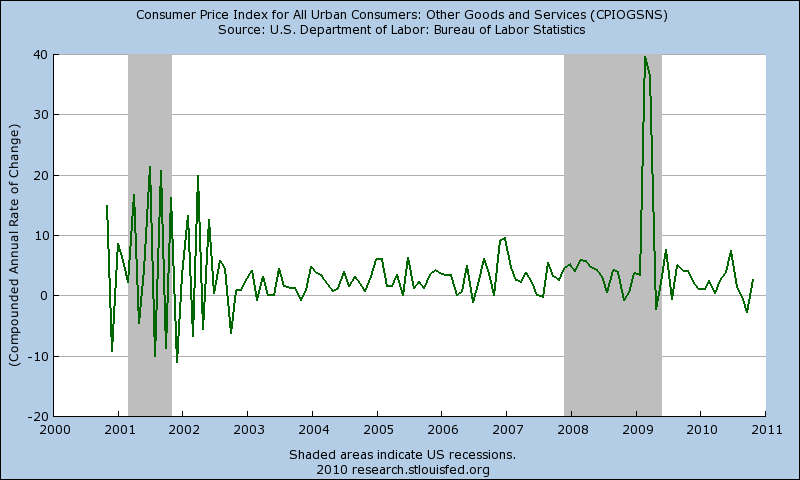 The Consumer Price Index for Services is another Lagging Indicator that may not be as relevant in this recovery, as we are in a period of historically low inflation. Moreover, the indicator registers as pure noise during the previous recession. Conclusions: The Leading Economic Indicators are signaling continued expansion in 2011. Two of the four Coincident Indicators have also turned positive, although none of the Lagging Indicators have improved yet. Among the Coincident Indicators, watch Real Wage Disbursements and Total Nonfarm Payrolls for further corroboration. Later in 2011, monitor Lagging Indicators such as Commerical and Industrial Loans, Consumer Credit/Personal Income, the Median Duration of Unemployment and Unit Labor Costs for additional signals regarding the robustness of the expansion. 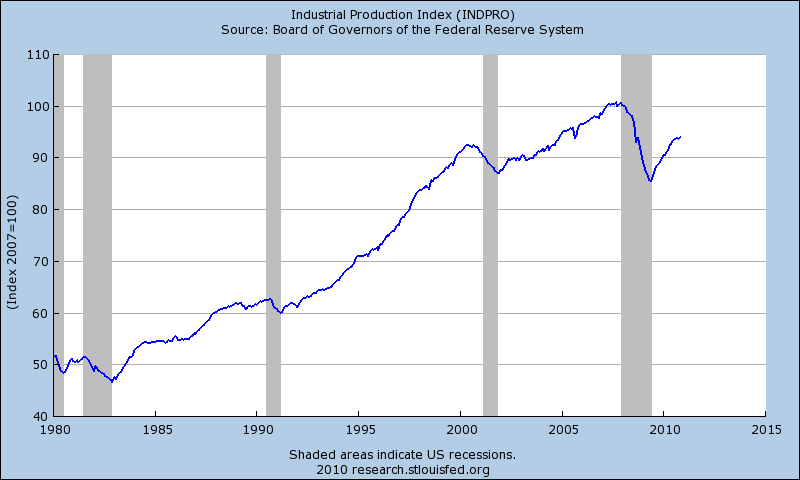 (Data from the Federal Reserve Economic Database, the New York Fed, and Bloomberg). 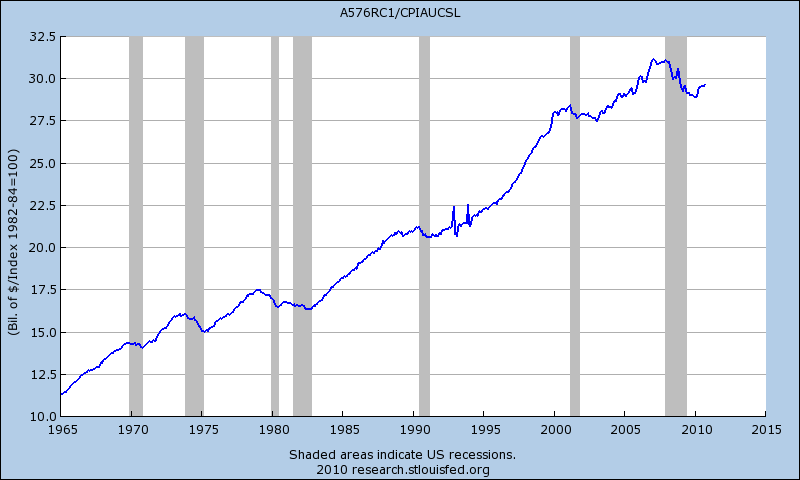 Per Capita Spending Bounces Back as Affluent Consumers Lead the Way Does the Obama Bull Market Have Years to Run?